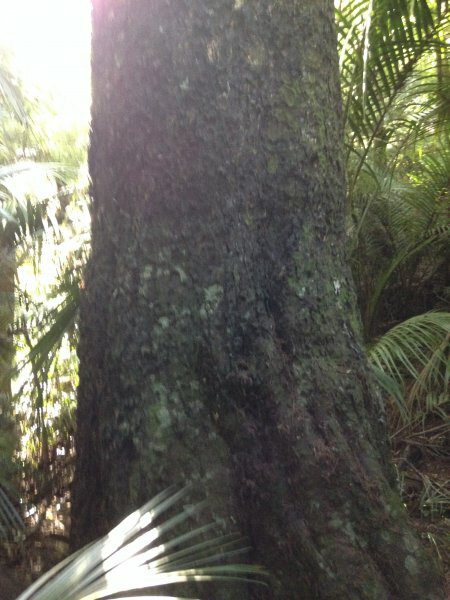 Growing within a group of Kauri trees. Located on the edge of an intermittent stream that has undermined some of the roots. Two impressive surface roots traced to 18m approx. from trunk. One of these roots is 250mm diameter 12m from the trunk (Barton, S. G. 2017). Good Health. 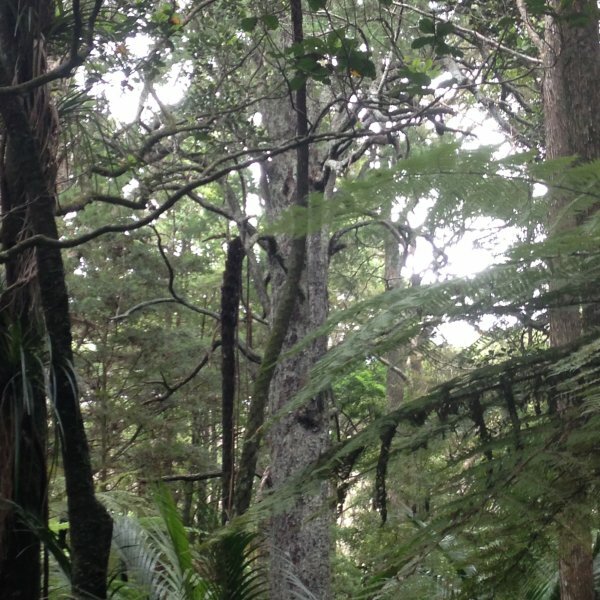 Some dieback on one branch on the southern side near the top of the tree. Good form. Main stem starting to lose apical dominance. 14 Jan 2017 Barton, S. G., Kent, C. & Smith, S.
If you enter the Park from the entrance between 96 and 98 Park Hill Road. 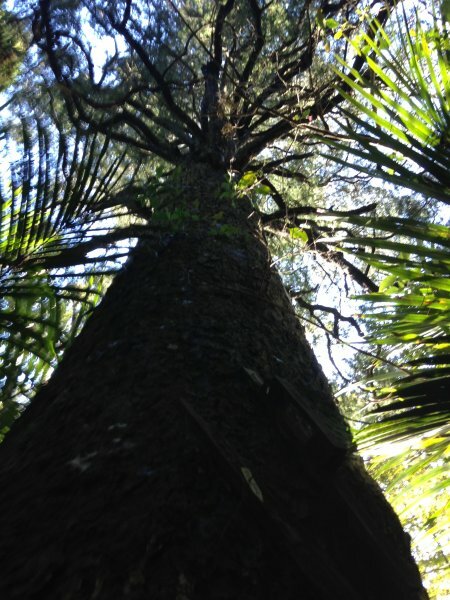 The tree is approximately 430m long the track on the right hand side down the gully. 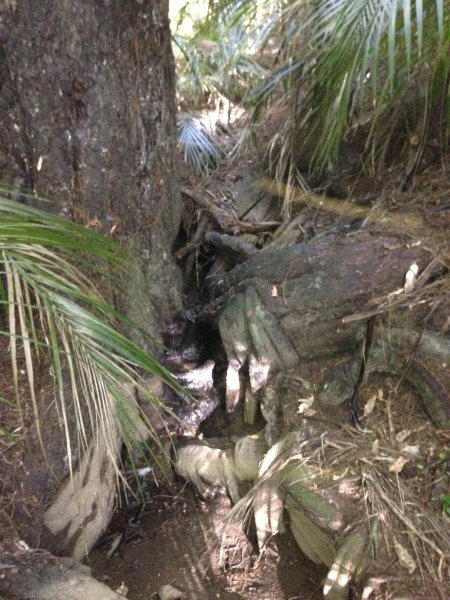 The track loops around the gully so the tree can be seen from both sides.